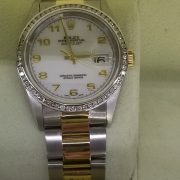 Home / Shop / Rolex / Rolex Oyster Perpetual Datejust 16203 18K Yellow Gold & Stainless Steel Mens Watch P-Serial No. 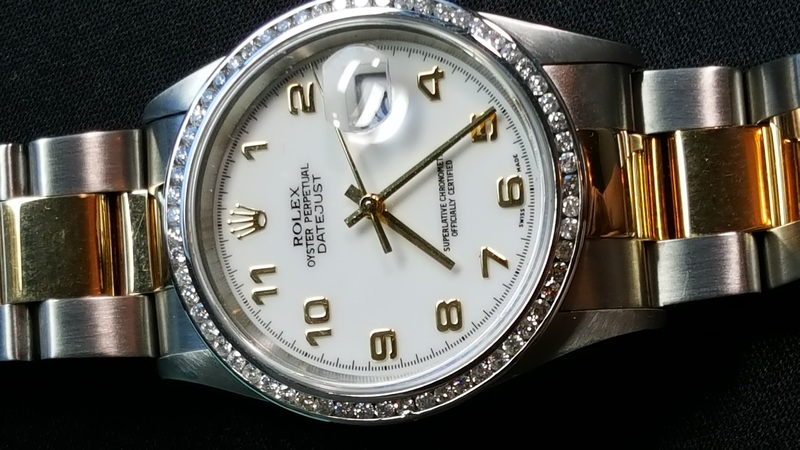 Rolex 16014 Men DateJust with White Gold Diamond Bezel (aftermarket). Original Dial with Two Tone Oyster Band. 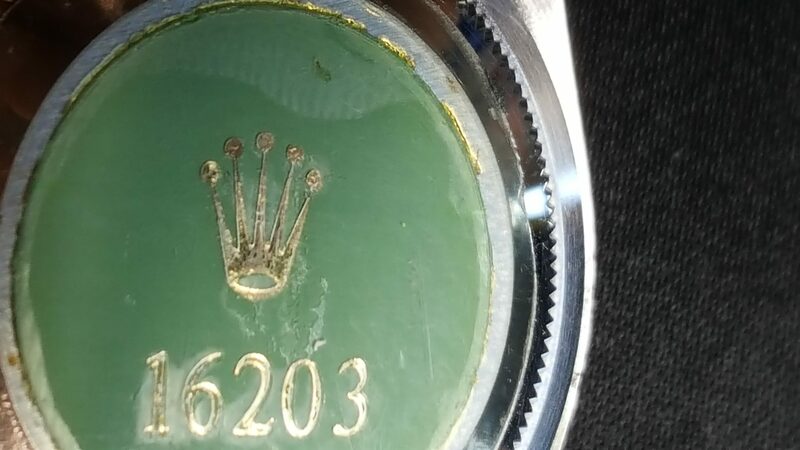 Men’s Rolex Oyster Perpetual Datejust. Stainless steel 36 mm case. 18K white gold diamond bezel. White dial with gold Roman numeral indexes along with a magnified date display. Stainless steel and 18K yellow gold band, can fit up to a 7 inch wrist, with a stainless steel folding clasp. Automatic movement.